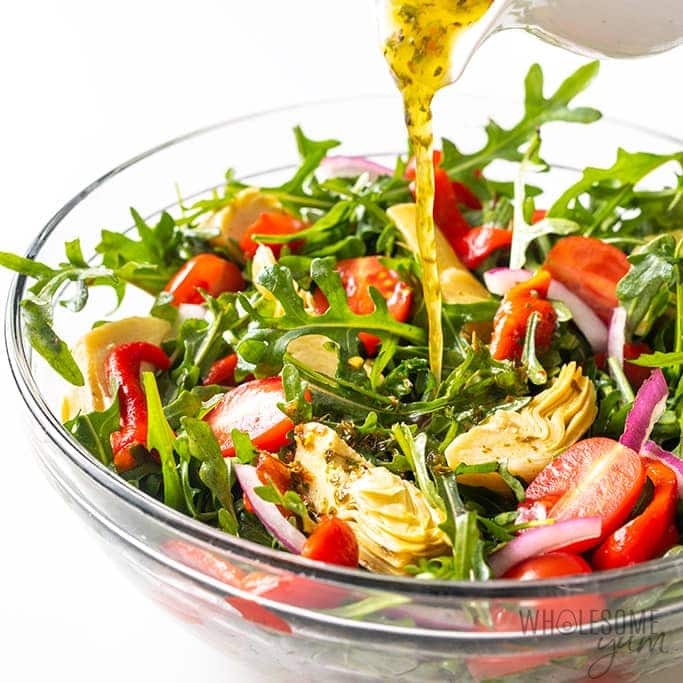 An easy Italian marinated artichoke salad recipe in just 10 minutes! 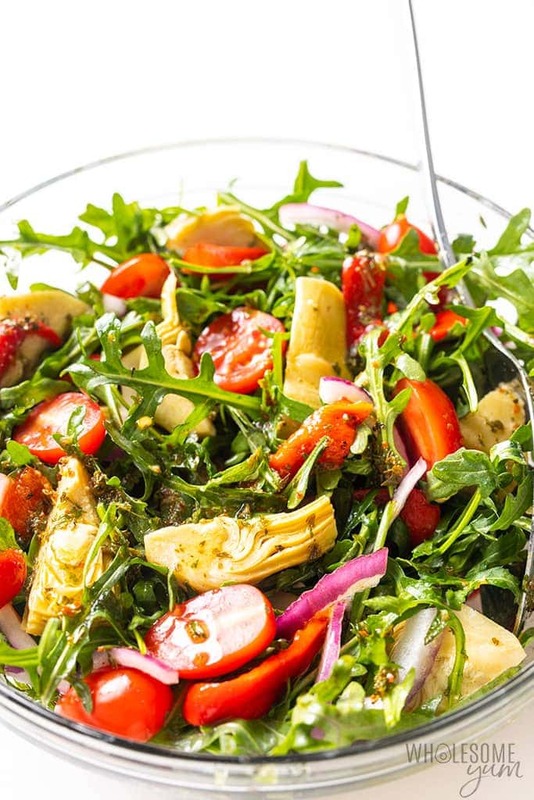 Only 5 ingredients (+ 5 in the dressing) is all this artichoke heart salad needs. Your spring and summer tables are going to need this easy Italian Marinated Artichoke Salad Recipe. 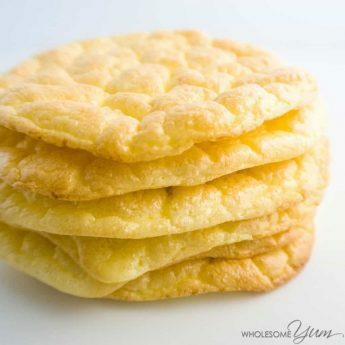 It’s ready in less than 10 minutes and requires just 5 ingredients! (Plus 5 for the dressing, but I would bet you already have them in your pantry.) 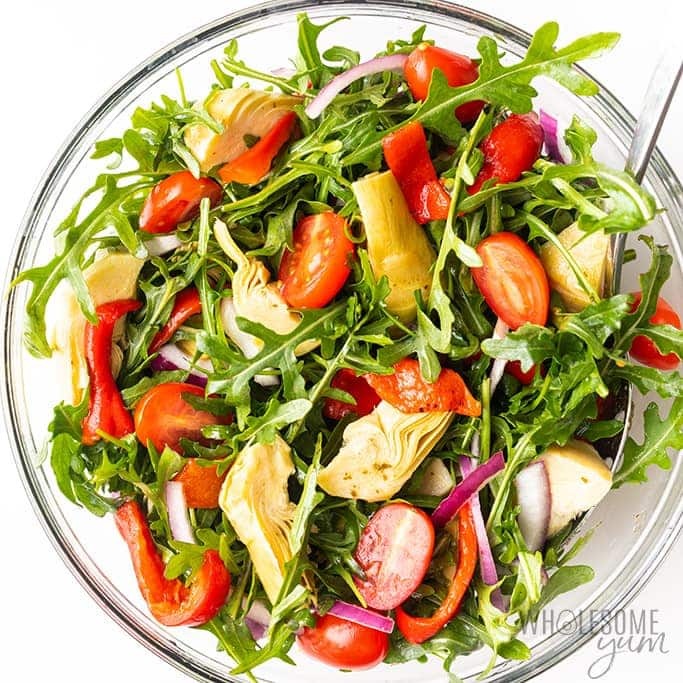 This artichoke heart salad is so full of flavor and color, I may be a bit biased, but I think it’s gorgeous! The temps are finally getting a little warmer here in Minnesota and everyone in my family is excited to spend more time outside – playing, swimming, and of course, eating our meals outside, too! I like to take advantage of dinners on the deck because the warm weather doesn’t last long for us AND clean up is that much easier. (If you’ve ever seen how young kids eat, you know what I’m talking about.) More time enjoying the weather…less time cleaning up inside! I think I’ll be eating this fresh salad all spring and summer. 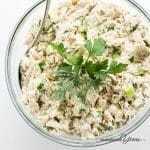 This Italian marinated artichoke salad is so easy and takes less than 10 minutes. 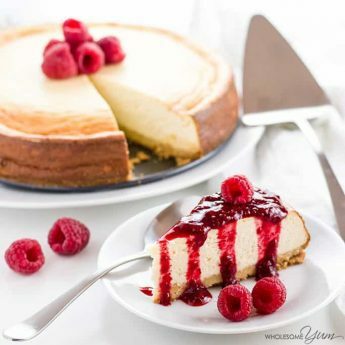 I share a few ideas on how to prep parts of it ahead of time below, if you’ll be taking it to summer parties and get-togethers. Let’s make this artichoke heart salad recipe, shall we? First we whisk together the dressing. 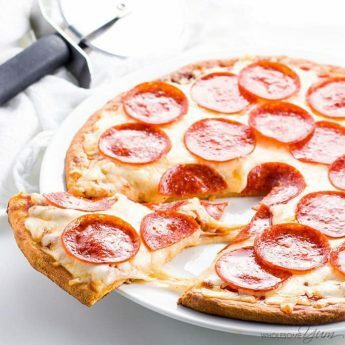 It’s a flavorful combination of olive oil, vinegar, and dried spices and herbs. As I mentioned, it’s just five ingredients that you probably already have. Then it’s time to gather and prep all of your salad ingredients. Slice the tomatoes, roasted red peppers (you can buy these in a jar! ), red onions, and marinated artichoke hearts. 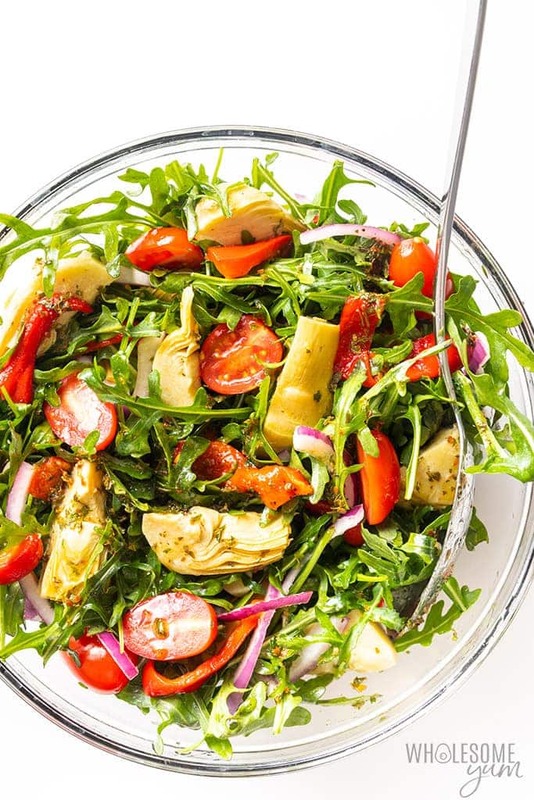 Layer the arugula in a bowl and top with vegetables. Finally, drizzle with the Italian dressing and toss everything together again. DIG IN. Are Marinated Artichokes Good For You? Yes, marinated artichokes are good for you. They are a vegetable, after all! The marinated artichokes are kept in an oil and vinegar mixture – unlike canned artichokes, which are kept in a water mixture. The oil and vinegar does add more calories, but it also helps preserve them. And, most of it is drained off before you eat them. How Many Carbs Are In Marinated Artichoke Hearts? 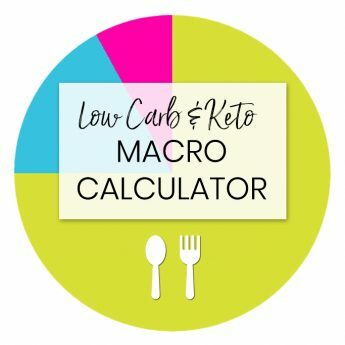 There are between 0-1 grams of net carbs in marinated artichoke hearts per serving. I figured you’d be interested in this, so I checked out a few different brands for you. I knew that marinated artichokes were low in carbs, but I was pleasantly surprised to find out they were so low! The exact amount will depend a bit on the brand you use, so check your jar for exact nutrition stats if that’s important to you. What Is In Artichoke Salad? And you can always add more to your marinated artichoke salad recipes. Olives, feta cheese, pepperoncini peppers, diced salami, mozzarella pearls, grilled chicken strips…GO WILD. The possibilities are endless. Can You Make Italian Artichoke Salad Ahead of Time? You can make some of this artichoke heart salad ahead of time. The dressing will definitely keep for 5-7 days in the fridge. And the other ingredients can be prepped ahead if you like. I would recommend portioning out and chopping the artichoke hearts, roasted red peppers, and red onions. PRO TIP: Don’t dress the salad until you are ready to serve it. While the arugula is heartier than some other salad greens, you don’t want it to get soggy if it’s sitting in the dressing for too long. 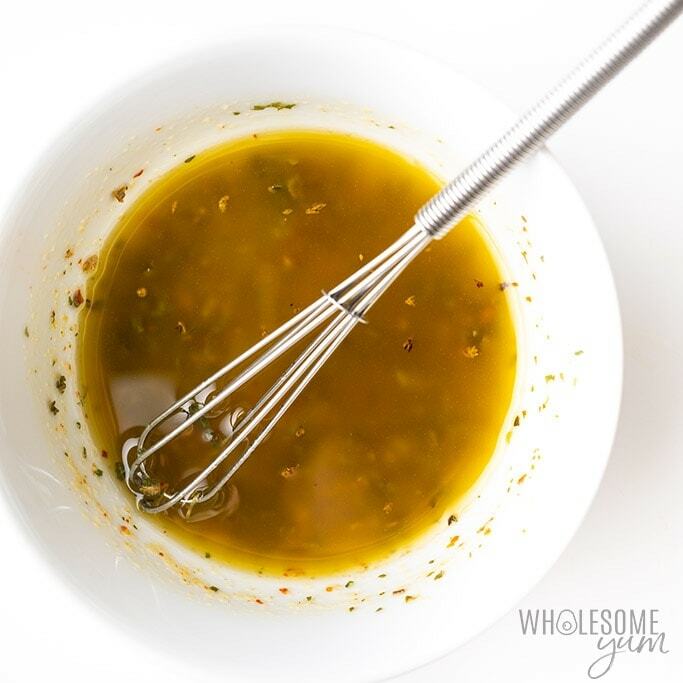 Whiskware Dressing Shaker – To make and store this homemade Italian dressing – or any other dressings you like! Ceramic Paring Knife – This makes slicing vegetables easy. Perfect for artichoke heart salad recipes and beyond. Glass Nesting Bowls – Great for tossing this artichoke salad together, and nice enough to serve it from too! 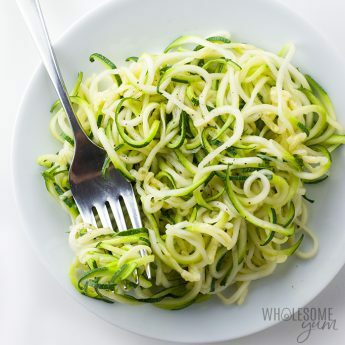 In a small bowl, whisk together the dressing ingredients, until emulsified. Made this for dinner and added fresh mozzarella and some fried pork belly. It was fabulous! Thank you! This was such a hit! So flavorful and filling. This will definitely become my go-to this summer. I love adding artichoke to salad. It adds so much texture without having to add meat. This salad was so delicious. It’s bright, colorful and full of Spring flavors. I think my family will love it too. Well, I know what I am having for dinner tonight! This looks great! This salad will be a welcome addition for the warm days ahead. 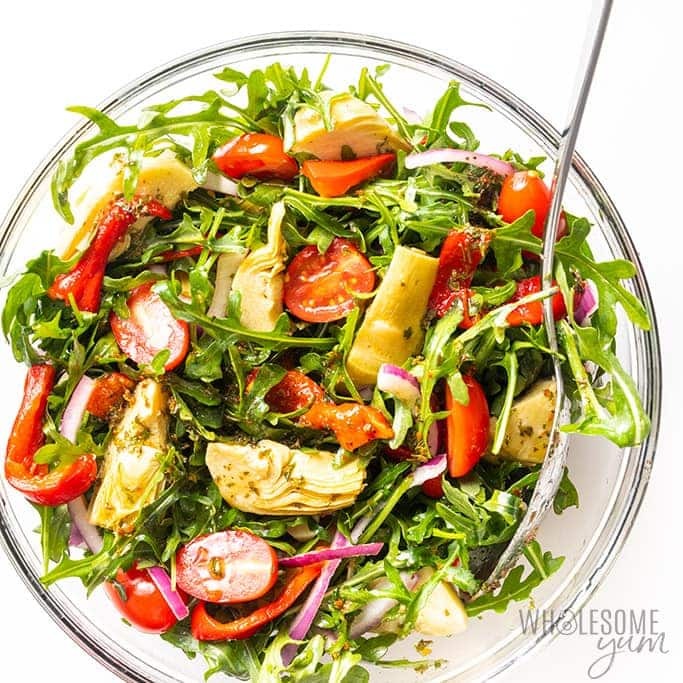 Artichoke hearts are so delicious and I love the fact that they stand out in this salad and aren’t just an afterthought. Great add-ins make this a salad recipe to keep on hand. Love this easy salad recipe! So much flavor! This was the perfect salad for my dinner party. Lightly zesty and a combination of flavors beyond the normal leafy greens. My guests loved it. What a great salad for eating on the deck as you say! 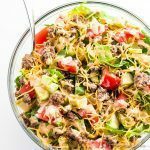 I love easy salads that come together with just a few ingredients so this one is a winner in my book. Thanks for sharing!! I love that you added artichoke to the salad. I am not so clever…but I should because this is a great idea. 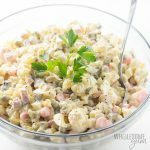 This looks like a really easy salad that I can whip up and take the dressing to go, which I love. I’ll definitely try this salad out. Thanks for sharing! Artichokes are one of my all-time favorites — I love them in frittatas, dips and as a special ingredient to salads! 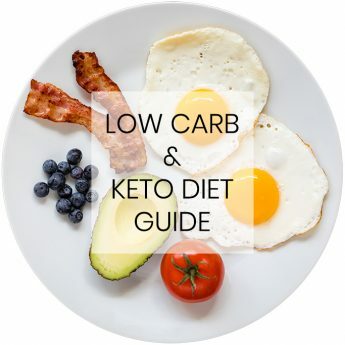 I love your low-carb recipes! Love artichokes! 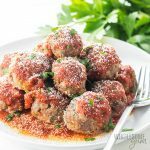 Such a great option for salads, pizza and pasta! This looks really good! I was wondering what you thought about using unmarinated artichokes and marinating them in the dressing all day and then adding to the salad. I have a recipe to marinate my own that uses extra virgin olive oil, lemon juice, and seasonings that taste so much better than store bought marinated ones, plus it would be a better quality oil than what most store bought marinated ones come with. Hi Nancy, Yes, you can definitely do that! Great idea! I had just used pre-marinated for convenience, but I bet doing it yourself would be even more flavorful.